Kendrick Currie, MD, is a family medicine physician at Hattiesburg Clinic Ellisville Family Clinic. Dr. Currie received his medical degree from the University of Mississippi School of Medicine in Jackson, Miss. 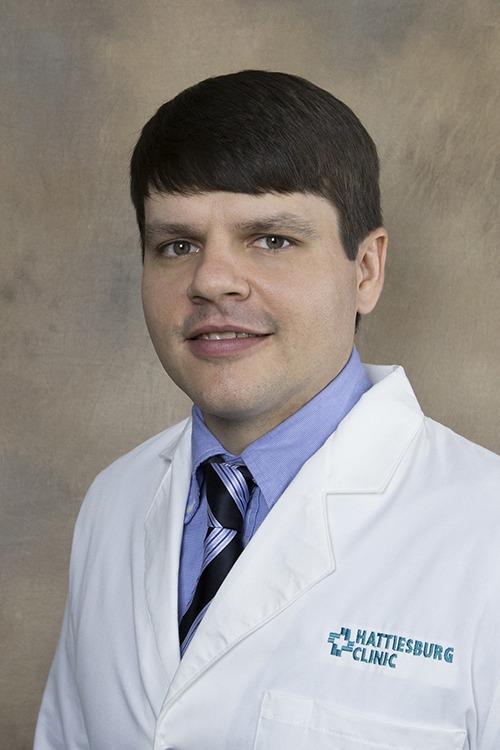 He completed an internship and residency in family medicine at Floyd Medical Center in Rome, Ga.
Dr. Currie is board certified in family medicine by the American Board of Family Medicine. He is a member of the American Academy of Family Physicians, the Mississippi Academy of Family Physicians and the Georgia Academy of Family Physicians. His special practice interests include diabetes, hypertension and wellness. Dr. Currie was raised in rural Smith County. He graduated from Raleigh High School in Raleigh, Miss., and is a Jones County Junior College alumnus. He is a husband and the father of two children. At Ellisville Family Clinic, Dr. Currie’s focus is caring for the local community to help others maintain a healthy and enjoyable lifestyle. University of Mississippi School of Medicine – Jackson, Miss.